Ammons, Mamie Sue – Age 50, Jan. 18, 1981, Vancouver, Wash. Born Dec. 27, 1930, Hazelwood, N.D. Lived at 13518 NE 44th St. and had been a Vancouver resident since 1951. She was a homemaker. Widower, James R. Ammons. 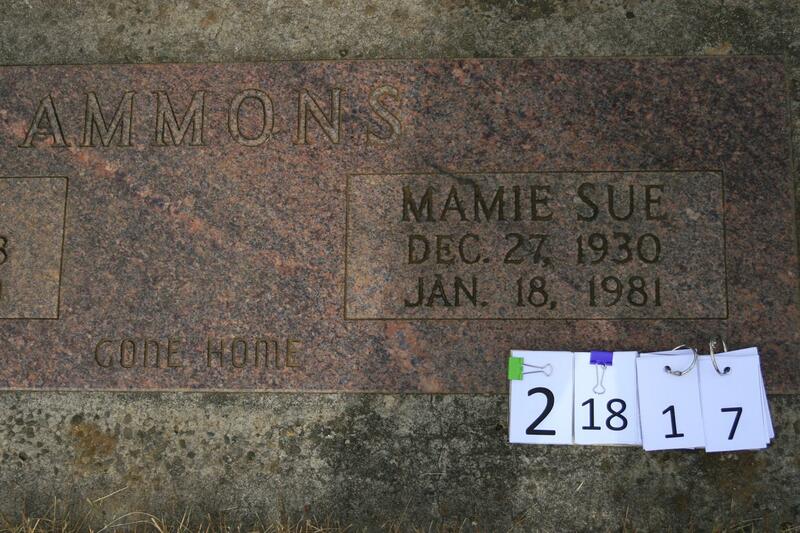 Sons, Robert E. Ammons, View, Wash., and John A. Ammons, Vancouver. Parents, Mr. and Mrs. Rufus Blanton, Hazelwood, N.C. Brother, Robert Blanton, Hazelwood. Sisters, Margaret Hensley in Florida, Doyle Caldwell, Doris Duncan and Barbara Crawford, all of Hazelwood, and Betty Blanton in California; and four grandchildren. The casket will be open until the funeral at 12:30 p.m. Wednesday in Straub’s Funeral Home, Camas. The Revs Layton and Lee Brock will conduct the service. Burial will be in Fern Prairie Cemetery.